Hockey's absolutely right, but for the wrong reason. At least a fuel tax, like any consumption tax, forces people to pay. Deductions for negative gearing and investing allow them to escape paying tax on income while halving the rate of tax on capital gains is just a lurk. This column for the Canberra Times attempts some analysis . . . In this space a fortnight ago I applauded the Treasurer’s emerging need to treat us to his intimate fantasies: cigar-smoking and his desire to slash government spending. I promised such things come in threes and suggested the next would be a doozy. Yet not even I could have hoped for his revelation that poor people don’t buy petrol. Hockey alone does the work of the three Marx Brothers. 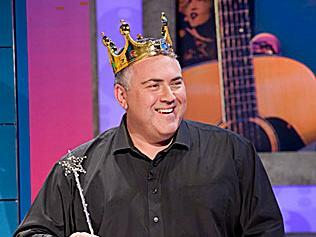 But although this week’s column is economic, it’s not about Joe Hockey. The famous French economist Thomas Piketty made his enormous reputation on the basis of a wonderful formula; r > g, where ‘r’ is the return on capital and ‘g’ is economic growth. This means, simply, when growth is low (as at the moment) wealth accumulates in the hands of those who already have money. Plutocrats make more from investments than ordinary people make working. Think capital gains. I earn a pathetically small amount from these jottings, for example, but because it’s my work I pay tax on it. If, on the other hand, someone owned a house and sold it at a profit after a year, they picket the money with a 50 percent discount on the tax they pay. This supposedly encourages people to invest in housing, although, just like negative gearing, the real result is just to boost the returns of anyone wealthy enough to have money to invest in the first place. The overall result of these policies devalues work while keeping the rich, well, rich. But that’s only one of Piketty’s insights. His vital revelation – for the point of this column at least – is that the use of formulae invests scribbling with credibility and seriousness. This leads inexorably to the next equation: H > tip, where H equals hubris (or Hockey) and ‘tip’ represents the tipping point between intelligent comment and idiocy (or understanding what you can get away with, and what you can’t). Hockey has now spent so long as a government minister (first appointed, 1998) and surrounded by white males of a certain generation that he’s passed the point of no return. The Australian Institute of Company Directors recommends board diversity as best practice. A quick glance at Cabinet proves the point. Surround yourself with like-minded people and before long you’ve crossing the line marking appropriate behaviour without realising it. Tony Abbott’s got a huge number of very talented people in his party. Unfortunately he can’t see them because they’re behind him on the backbench and either too female or too young. He prefers to lead the party into the wilderness surrounded by his tight-knit, elderly cabal of shuffling fogies. Their gaucheries take the heat off him. Nevertheless, some readers (you’re a demanding lot!) will correctly point out that one random formula does not a brilliant reputation make. So here’s another, of particular relevance to politicians. Expressed as c = (almost) 2v, it represents the obvious fact that contented people guarantee electoral victory. But what unique insight provided the exact formula; that people only need to be reasonably happy in order to decisively return the government to office (a precise prescription calculating the precise effect of incumbency)? Well, just look. The letter ‘c’ is the third letter of the alphabet, but the letter ‘v’ is the fifth last, and five is (almost) twice three. Spooky, eh? A coincidence? I think not. At this point the original version of my column continued with many further, similar calculations. The editor, however, referring unnecessarily to my earlier remarks about the tipping point of madness, suggested it might be wiser to keep these revelations to myself. I merely note, however, that this is exactly what one would expect to occur if a secret society such as the Illuminati really were in charge of the Canberra Times and using it to control our thought-process . . . however I digress. There is an obvious corollary to these formulae, one that can only be properly expressed as an unsolved enquiry, ml = ?. Even I know millilitres are ‘mils’ so ‘ml’ must, in this case, refer to the meaning of life. Everyone goes about solving this equation in his or her own way (and no, Jonathan, I don’t want to see your working and yes, Jane, I’m sure your answer is correct – for you). And that’s the key. The single, the only point of government, is to facilitate our individual attempts to discover an answer to this question. For some wealth may indeed be the answer. It can’t be the answer for us all. Some people might prefer leisure while others have idleness forced upon them. And this is why everyone got it wrong when they attacked Hockey for his random comment about poor people not driving – that wasn’t his blunder. Focus instead on something else he said in that same interview. Posing as the representative of someone receiving normal weekly earnings he pointed out “(poor) people are receiving tens of thousands of dollars in payments from other Australians” – with the implication these people are getting something they don’t really deserve. He’s certainly correct. Some people aren’t paying their share of tax. It’s not, however, the poor who take advantage of negative gearing and dividend imputation to minimise their contribution to Commonwealth revenue. Statistics demonstrate conclusively that it’s multi-millionaires (such as Hockey himself) who overwhelmingly take advantage of these deductions, quite legitimately. But tax breaks and deductions allow the wealthy to escape paying the same proportion of their income in tax as others. To that extent Hockey’s petrol comment is quite correct. But it’s still the case that politicians aren’t engaged in genuinely reforming the system. Inequality soared under Wayne Swan, who posed as champion of the common man. This continues under Hockey. Just spare us the hypocrisy. Mr Stuart... and what have you got against dividend imputation ? Why should the same supply of money be taxed twice both at the point of generation (the company) and then again when received by investors ? Shareholders these days include vastly more people than multi millionaires but also self funded retirees, SMSFs, mums and dads etc. I'm shocked you lump all these people together with Mr Hokey Pokey and his Hockeynomics.